Bread is a food that classically gets a lot of stick when it comes to weight loss and healthy eating. While some types of bread aren't the most nutritious, there are plenty of healthy options to choose from. Bread can provide us with lots of nutrients if we choose the right types, and unless you have a diagnosed wheat or gluten intolerance, there is no need to cut it out of your diet. Some people are convinced that eating too much bread leads to bloating. It is true that the wheat in bread can be hard to digest for those with a sensitivity, which can lead to some discomfort after eating it, but for most people this isn't the case. If you are affected, similar side effects are likely to be experienced after eating pasta and wheat containing cereals. 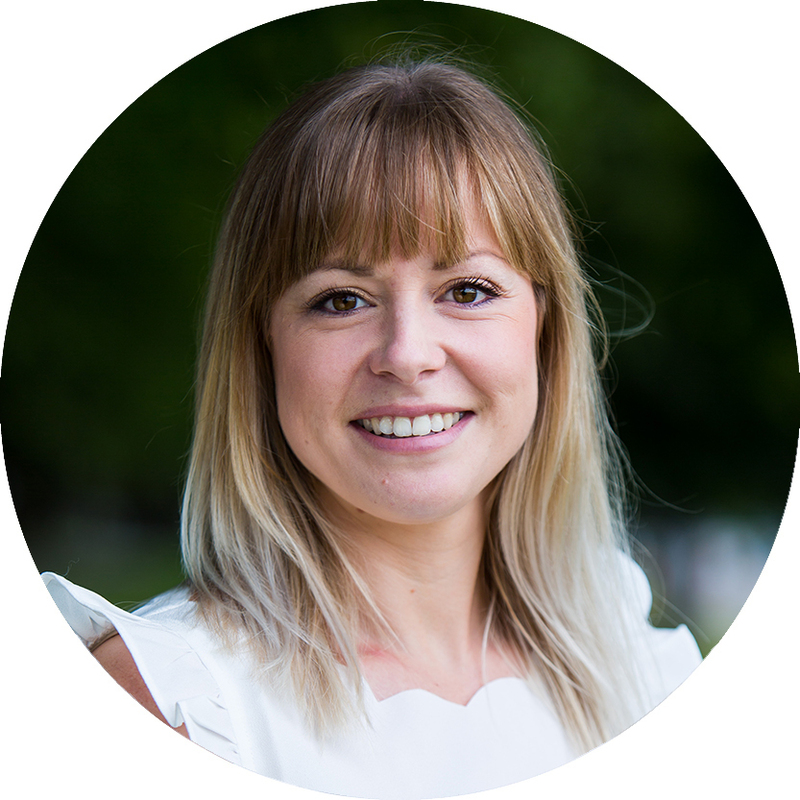 If you do feel that you experience discomfort after eating such foods, ensure you seek advice from your GP to help you diagnose the issue and to make sure that wheat is the culprit. If you are not found to have a wheat intolerance, then there is no need to remove it from your diet. And contrary to popular belief, bread doesn't lead to weight gain, it's the overall number of calories you eat that matters. So including bread as part of a healthy balanced diet and choosing the best options, will not affect your weight loss. When it comes to bread, make sure you choose the most nutritious option. The ingredient that makes the biggest difference to bread's nutrient content is the type of flour used – wholemeal or refined white flour. Most bread is made using wheat flour, and it's the processing of the wheat grain that changes the nutrient content of the flour. 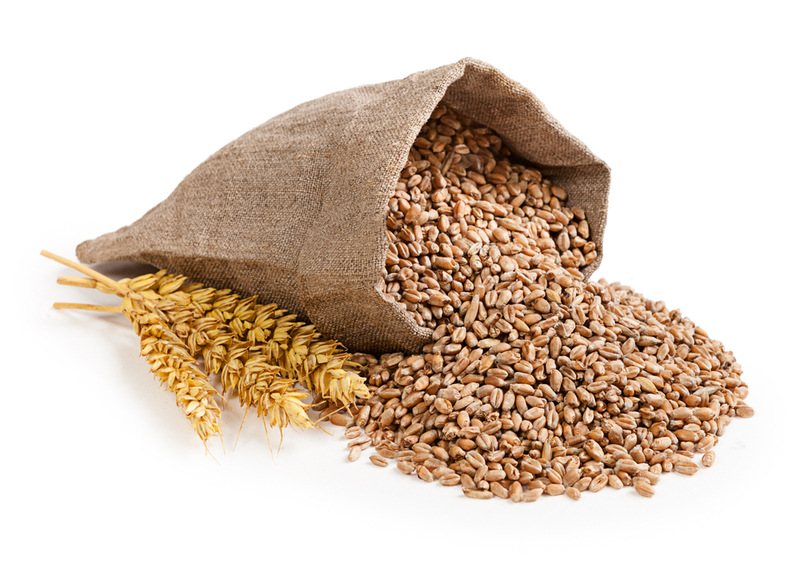 Wheat grains have three main parts – the outer bran layer, the middle endosperm and the inner germ – and each of these components contains different nutrients. Refining the flour results in some of these layers being stripped away. White flour has been milled and refined so much that the outer bran layer and the germ are removed, leaving just the endosperm, whereas wholemeal flour uses the whole of the grain, retaining the goodness. Bread – what's the difference? White bread uses 'white' wheat flour, which has been milled and refined to remove the outer bran layer and inner germ, leaving just the inner endosperm layer. The bran and the germ contain much of the fibre, minerals and vitamins, so this process results in the loss of many nutrients. 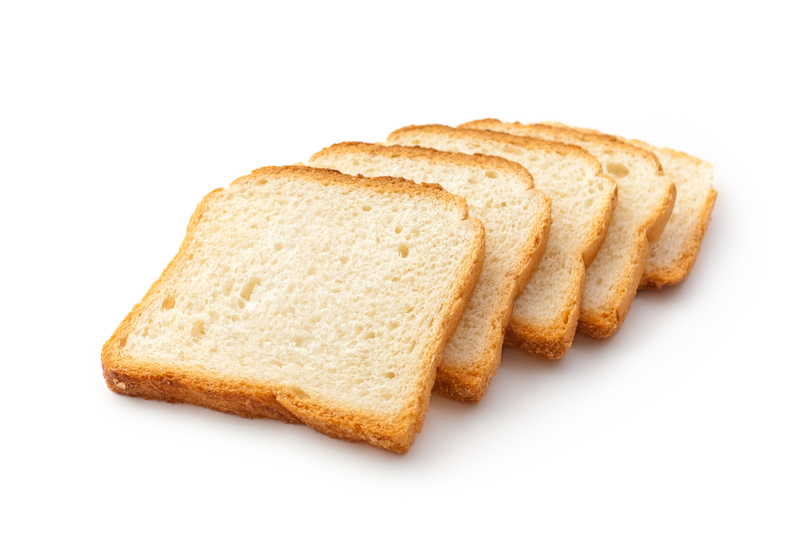 Plain white bread offers the least nutritional value out of all the different types of bread. Half and half uses 50% wholemeal flour and 50% refined wheat flour. This is a better choice than white bread as half of the flour contains many of the nutrients from the wheat grain. It is also useful as a vehicle to encourage increased fibre and wholegrain intake in kids and other people who prefer the taste of white bread. Seeded bread is often the same as white bread, but just with added seeds. The seeds provide a good source of protein, vitamins and good fats – but the refined flour used lacks many nutrients. Always check the label and try and choose a wholemeal version of seeded bread. 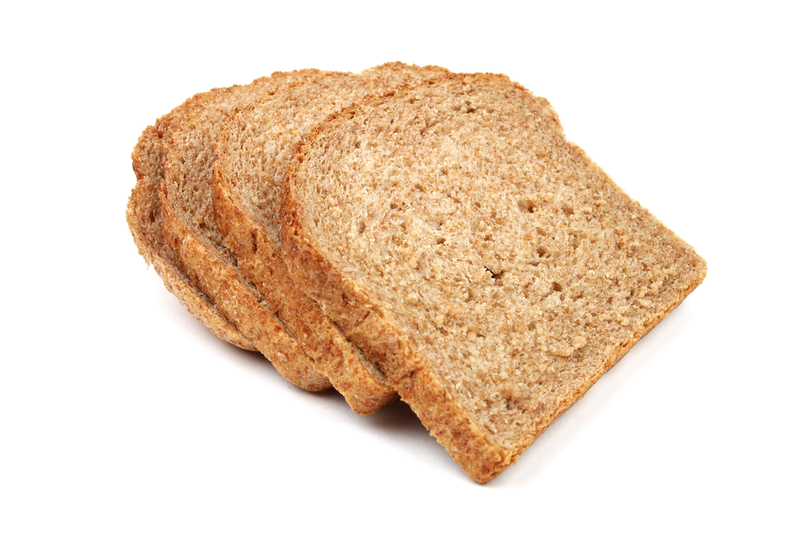 Wholemeal bread uses wholemeal flour which means the 'whole' wheat grain has been included. 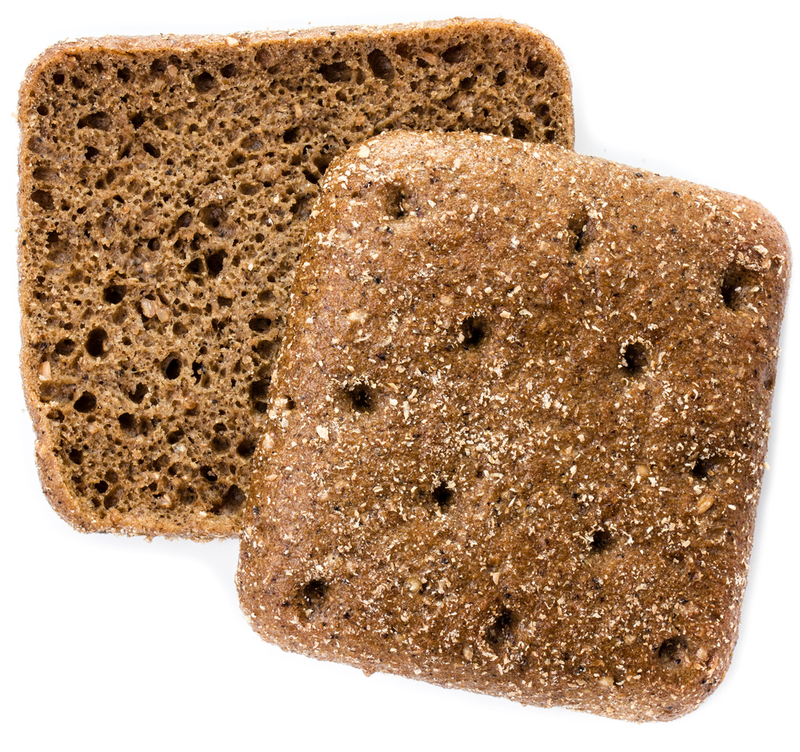 This bread is the most nutritious as it includes plenty of fibre, B vitamins, vitamin E, minerals and phytochemicals. So all in all, bread is absolutely fine to include in your diet, but opt for wholemeal varieties as often as possible, and limit white bread to a treat now and again. Be calorie savvy as the content per slice can vary greatly. An average slice of wholemeal bread has around 80 calories, however many seeded varieties contain considerably more – up to 140 calories per slice. 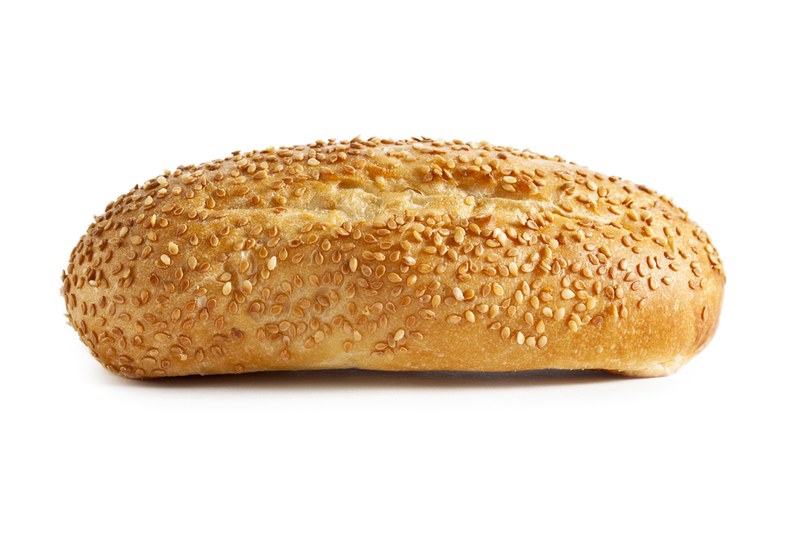 Added seeds are healthy, but they do increase the calorie and fat content of the bread. Tip! When using your Nutracheck food diary, try to find the exact brand you ate for the most accurate calorie count.